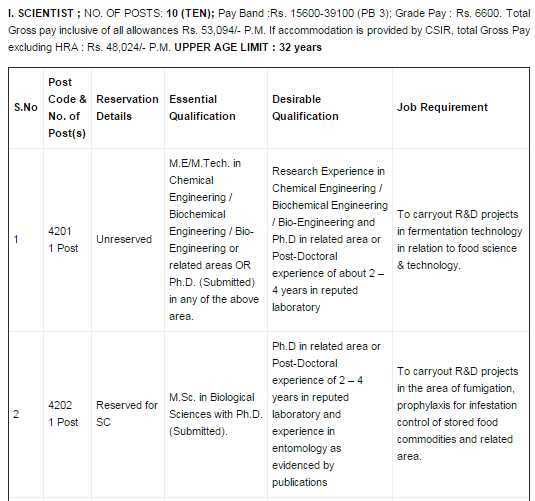 hii sir, I wants to get the job of the Scientist in the CSIR will you please provide me the details of the job recruitments ? Junior Scientists/Trainee Scientists upto Senior Principal Scientists. 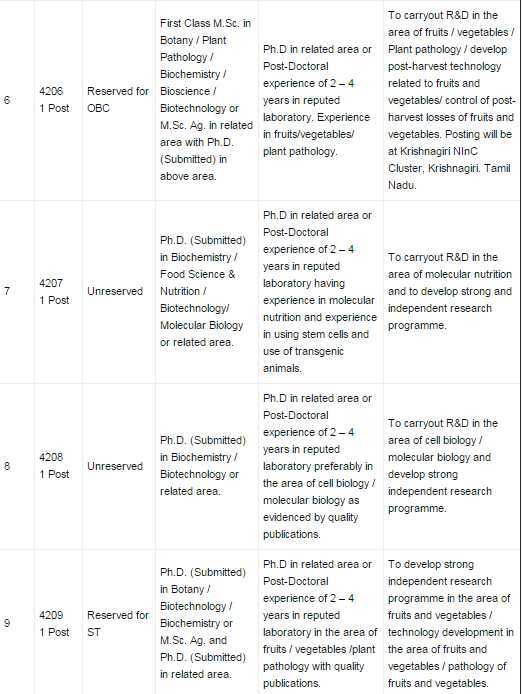 Lab advertises the posts as per the vacancies and roster. Screening of the applications is carried out by the Laboratory and the proceedings of the Internal Screening Committee forwarded to CSIR-RAB. CSIR-RAB constitute the selection committee based on the screening & other information provided by the lab. Laboratory conducts the interviews for selection of scientists. Chairman, RAB endorses the proceedings of the selection committee meetings and sends them back to the Lab. The concerned Lab takes further necessary action. 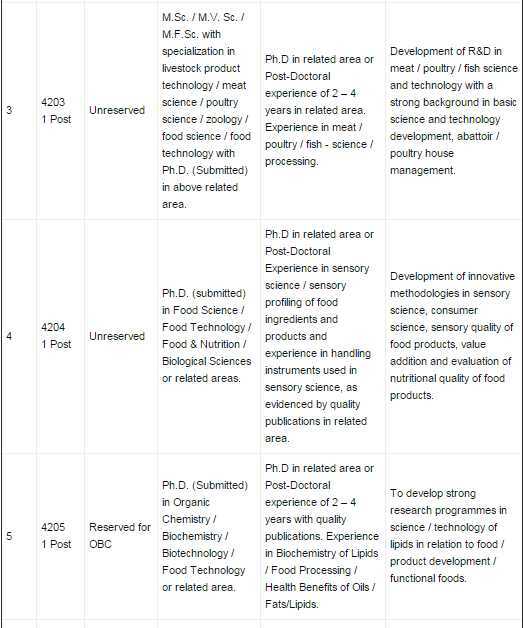 Applications are received at CSIR - RAB. Screening of applications is done by CSIR - RAB as per the rules. CSIR - RAB constitutes the selection committee and conducts the interviews. The proceedings of the selection committee are approved by VP-CSIR. Grade Pay : Rs. 6600. Total Gross pay inclusive of all allowances Rs. 53,094/- P.M. If accommodation is provided by CSIR, total Gross Pay excluding HRA : Rs. 48,024/- P.M.